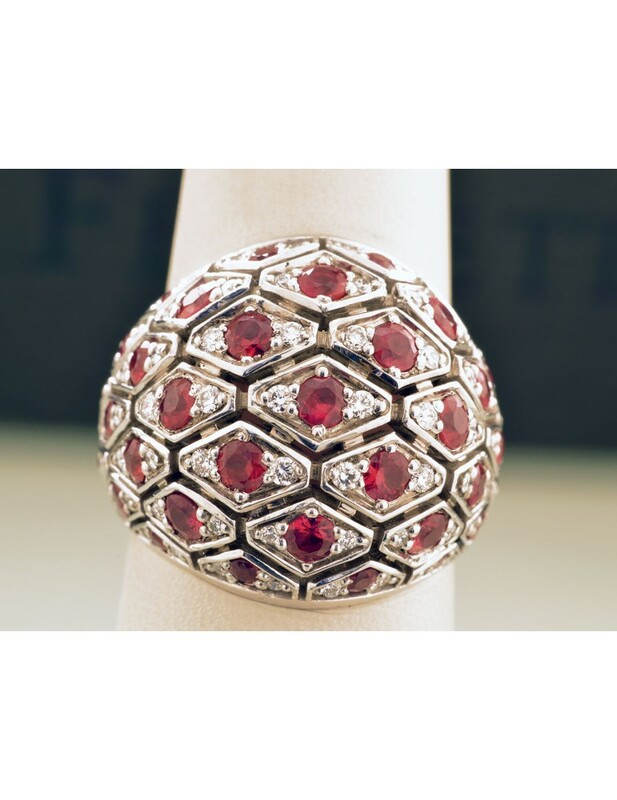 Burmese ruby and Canadian diamond dome ring. This lovely custom designed ring is a 14k white gold palladium mix with a total metal weight of 13 grams. 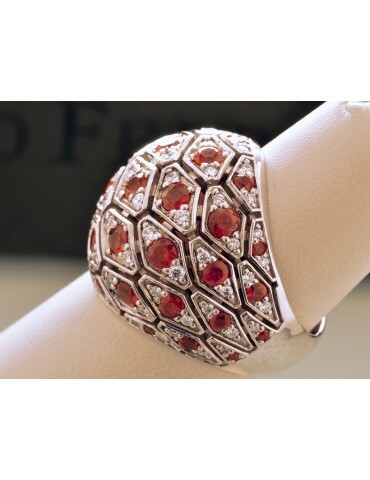 This European designed piece is sure to grab attention with the hand engraved bright cut set stones. This ring flashes so bright it grabs your attention from across the room. It is set with 35 Burmese rubies with a total carat weight of 2.52 tcw with VS clarity and .57 total carat weight of Canadian mined diamond with F-G color and VS clarity.